2) The exercise this spring runs from May 7 to May 30, 2012. 4) Representatives from 11 countries are participating or observing this time: Algeria, Croatia, Egypt, Greece, Italy, Libya, Morocco, Spain, Tunisia, Turkey and United States. 5) The exercise is packed with learning and sharing. Scenarios involve search and rescue, boarding drills, communication drills and information management techniques. Workshops will also be held on such topics as operations and safety, damage control and firefighting, deck seamanship, navigation, small boat operations and leadership, and more. 7) The guided-missile frigate USS Simpson is part of the exercise. 8) A portion of the exercise will be held at NATO Maritime Interdiction Operation Center in Souda Bay, Greece. 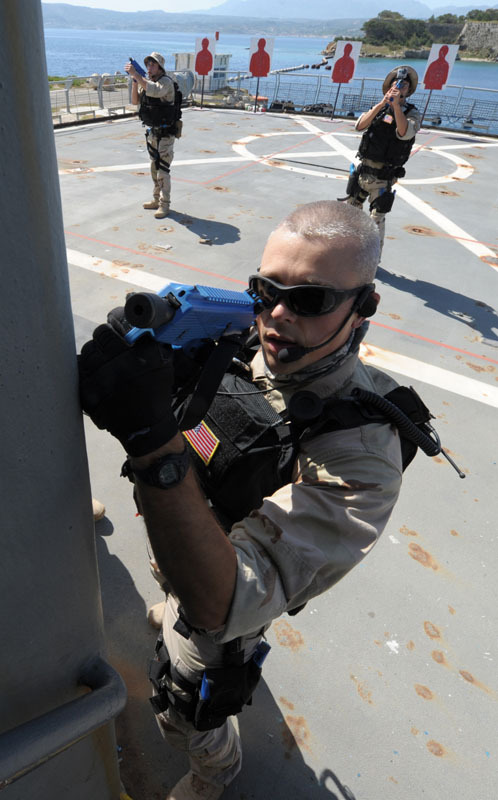 The center was established in 2003 to focus on Maritime Interdiction Operations (MIO) training. 10) Phoenix Express 2012 also includes a medical component. U.S. medical personnel from the U.S. Army Reserve 396th Combat Support Hospital shared techniques such as applying tourniquets.